Cindy Daniel lives in Rockwall, Texas (a lakeside suburb of Dallas) with her husband. She works as an orthopedic research coordinator at a Dallas area children's hospital. 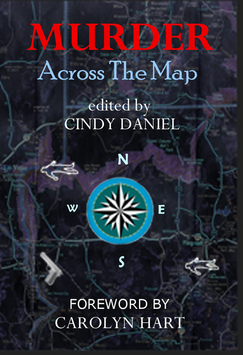 Cindy is the Southwest Chapter President of Mystery Writers of America and was the 2004 President of Sisters in Crime - Internet Chapter. She is a member of Mystery Writers of America, Sisters in Crime, SinC Internet Chapter, SinC Guppies, Romance Writers of America - Kiss of Death, and American Medical Writers Association; she is the Dallas Meeting Coordinator for the Southwest Chapter of Mystery Writers of America. Cindy’s debut novel, Death Warmed Over, was released in hardcover in October 2003 and paperback in April 2005. The series is set in the East Texas Bible belt and is packed with sibling rivalry, lust, old-fashioned Christian guilt, death of a beauty queen, and, of course, pickup trucks. The second of the series, A Family Affair, was released hardcover in September 2005. Return to Destiny, Texas - where the eccentric heirs, animal activists and stray bullets threaten to spoil Hannah’s romance. Good thing the Sheriff of Van Zandt County has a big gun! In her spare time, Cindy is writing a non-fiction account of her breast cancer experience — It’s Not About You: A Mother and Daughter’s Journey Through Cancer.